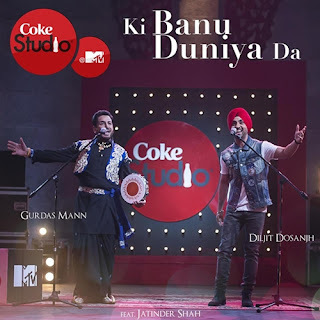 Coke Studios (MTV India) have brought together Punjabi singers Gurdas Maan & Diljit Dosanjh for a collaboration titled 'Ki Banu Duniya Da' - Coming soon! Coke Studios (MTV India) is one of the most popular musical shows on Indian TV. The series has now brought together 2 of the most recognisable faces in Punjabi entertainment with Gurdas Maan & Diljit Dosanjh! The song 'Ki Banu Duniya Da' is releasing soon!